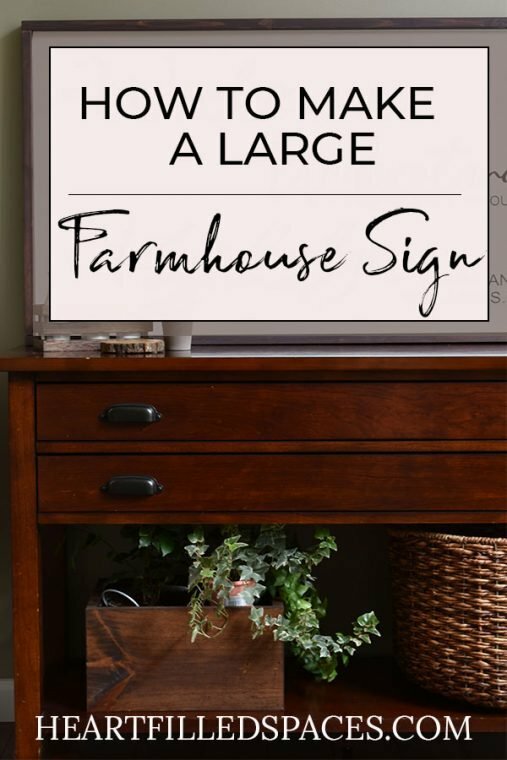 I’ve been wanting to make a Farmhouse Sign for a while now. There is never enough time for all the projects I would like to do. 🙂 The last couple of days have been busy, but it was worth it. For some odd reason, I get happy when I bring out my saws. It’s just so exciting to create something new. I’ve written out the instruction for this project below. 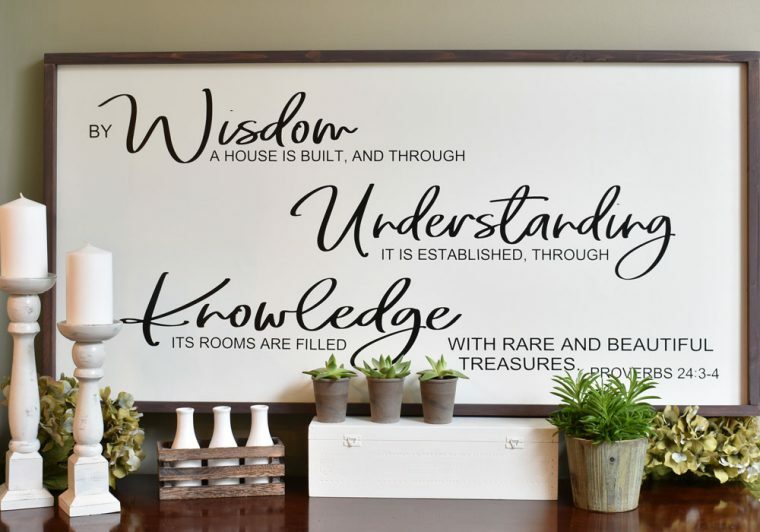 The dimensions will be different, depending on the size you want your sign to be. 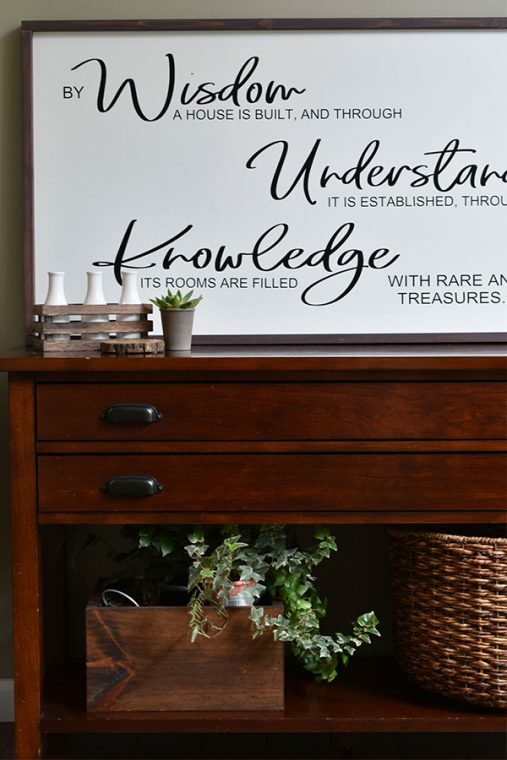 The cut file for this Farmhouse Sign is available for free, just subscribe to receive the password. Then go to this page and enter it. The best part about this project is that I had all of the supplies on hand. 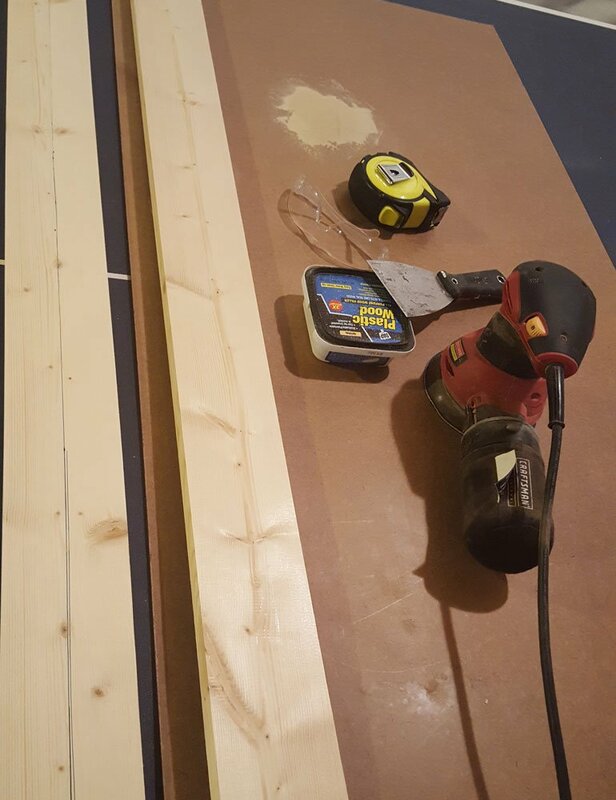 I started with a piece of hardboard that was 2′ X 4′. It had a hole in it, so I patched it up with wood filler and sanded it smooth. 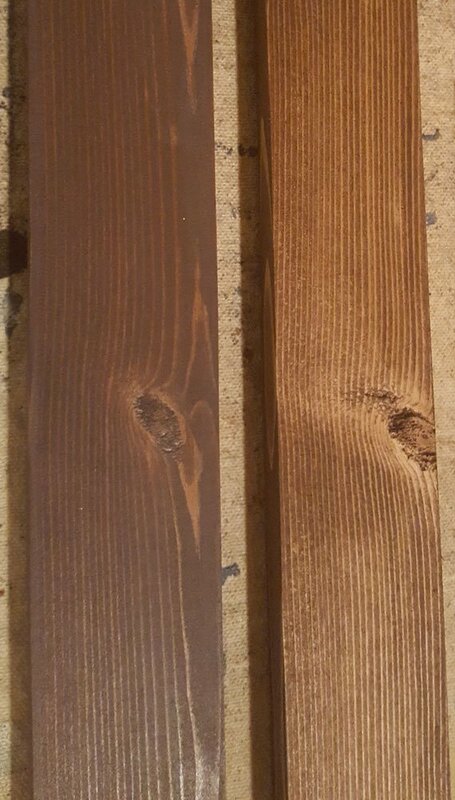 Then I used my miter saw to cut the 1X4X6 into two boards; one at 48 3/4″ and the other at 23 1/8″. 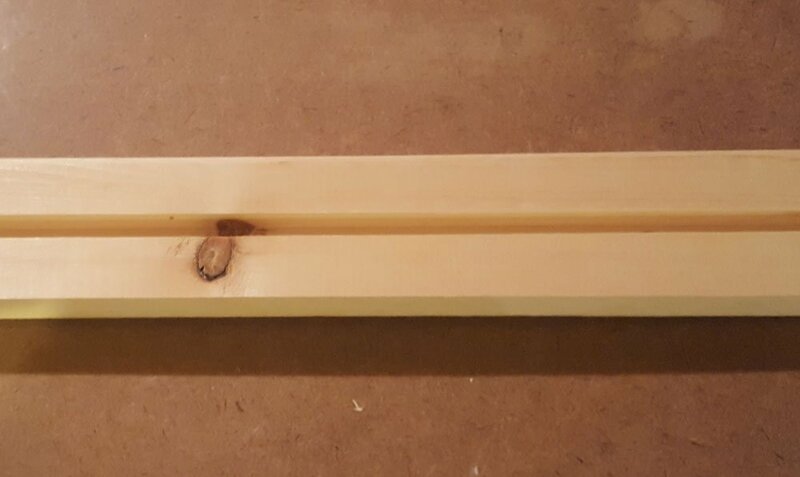 I used my table saw to rip 1X4’s into two pieces. You can see the line on the board to the left in the picture. Next up I lowered the blade on my table saw so it would only cut 1/2 way through the board (to make a groove for the hardboard to sit in). These boards are 3/4″ thick and I set my blade height to half that, which is 3/8″ high. I made one pass through the table saw and then flipped the board around to widen the groove with a second pass through my table saw. Once all of my cuts were made I sanded all my boards and wiped them down for stain/paint. 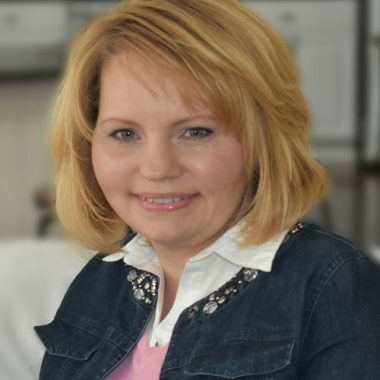 I then put everything together to make sure I didn’t need to make any adjustments. 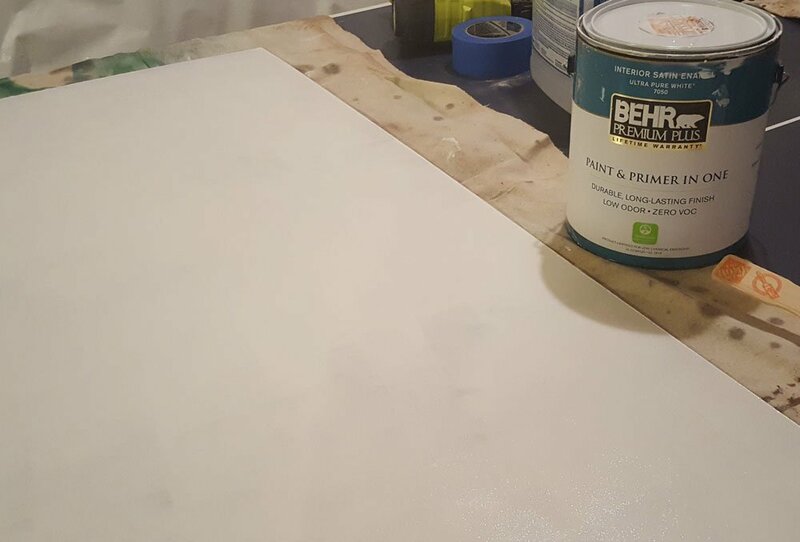 I painted the hardboard white with Behr Premium Plus Paint/Primer. The color is Snowy Pine in a Satin finish. I put on three coats of paint. 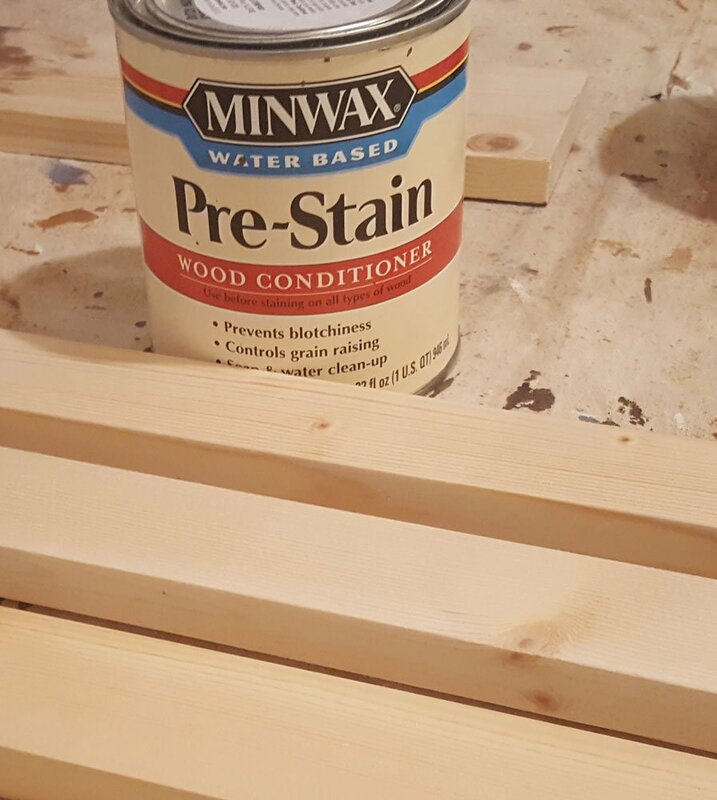 Since pine is a soft wood and absorbs stain quickly, I applied a wood conditioner to the boards before the stain. If you skip this step your stain may turn out very dark. Then I applied Minwax Gel Stain in Walnut and wiped it off. 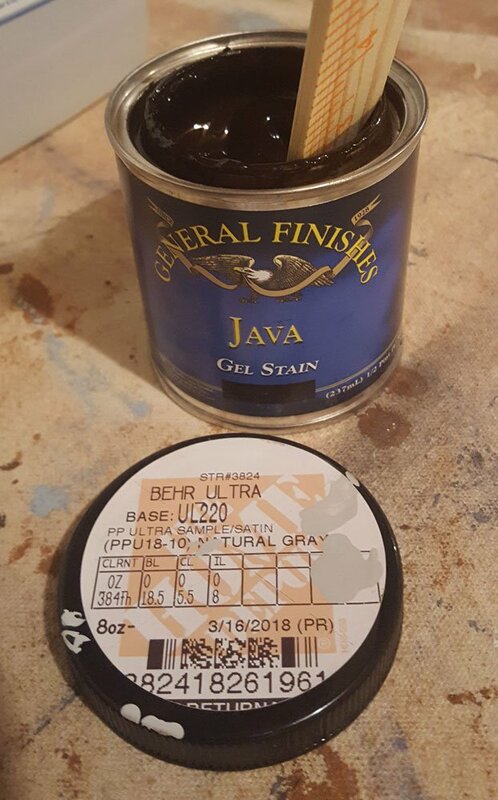 Next, I mixed General Finishes Java Gel Stain, Behr Natural Gray paint, and glaze together until it was the color I wanted. Again, I applied it and wiped it off. Here is the final finish. The board on the left is the final color. Then I slipped the hard board into the frame and joined the corners with my Ryobi Brad Nailer. I also put a square flat block of wood in each corner on the backside of the frame and brad nailed them in place to reinforce the corners. I designed the verse in the Silhouette Design Software. 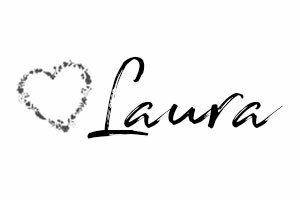 The script font is called The Secret and can be downloaded here. The regular text is Arial. This sign is very large, so I had to cut my design in sections so it would fit through my Silhouette. Then I weeded it, so only the words were left and used transfer paper to put it on the hardboard. Here are a few more pretty pictures. I know this sounds like a lot, but it really only took about 6 hours to build and another 4 hours to design and place the words on the sign. Not too bad for such a large piece of art. 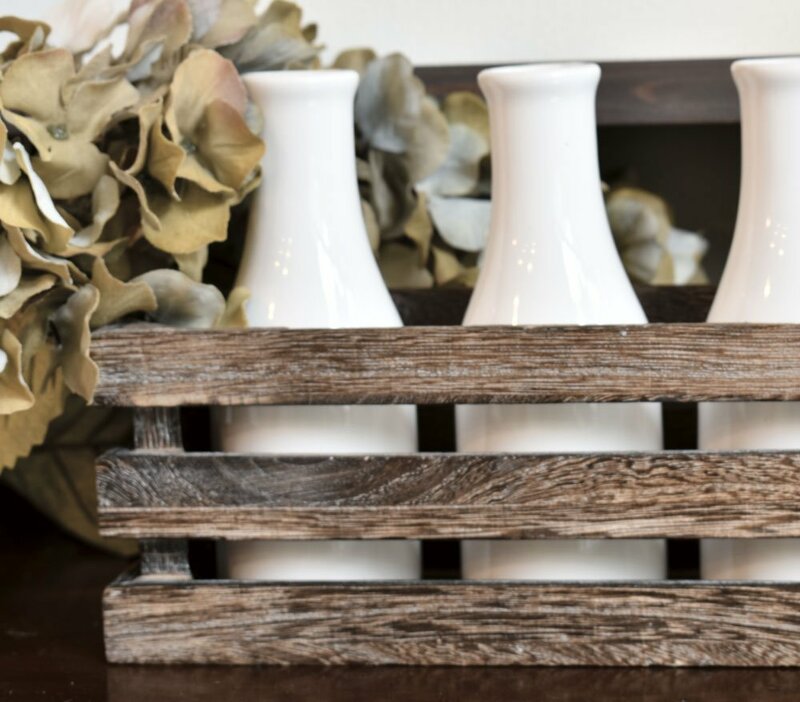 I’m going to build another Farmhouse Sign soon for my laundry room. Do you think you will try this project?